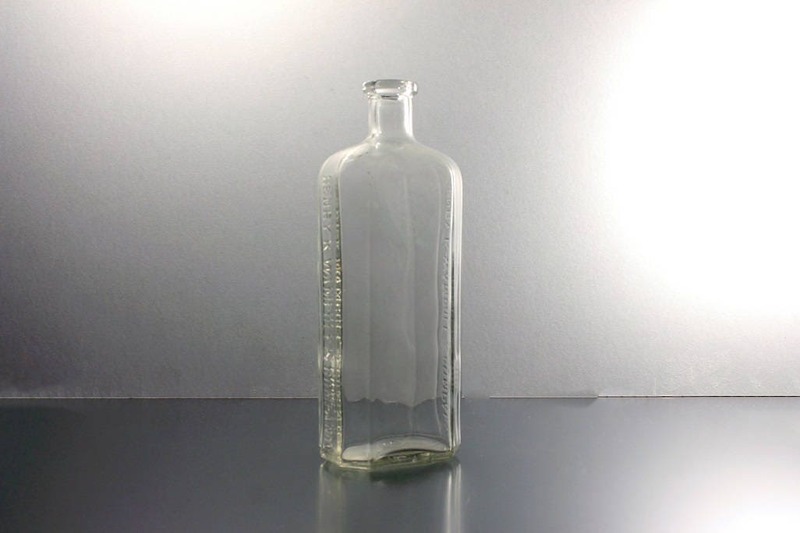 A wonderful clear antique medicine bottle. This is Henry K Wampole & Company. 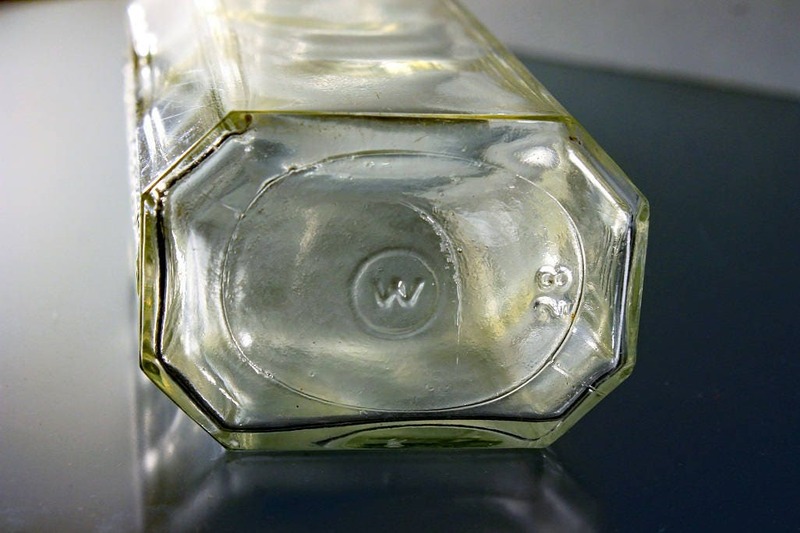 The bottle is from circa 1920s, is embossed on two sides. I believe this bottle was filled with Wampole's Perfected and Tasteless Preparation even though the paper label is missing. The bottle is exactly like the one used for this product. 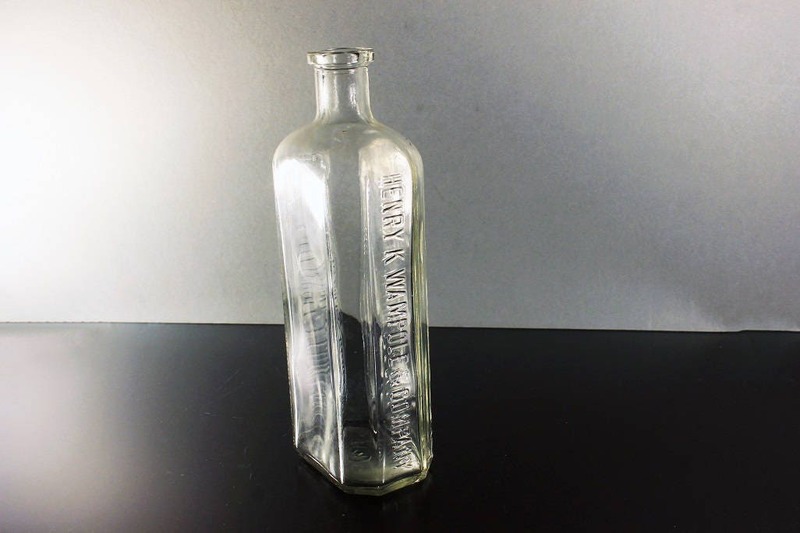 This bottle would make an excellent gift for a bottle collector. 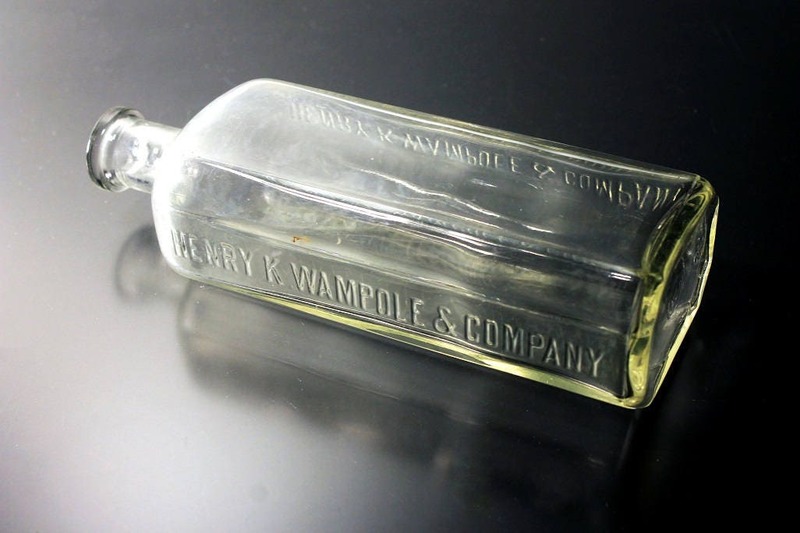 Henry K Wampole & Company was started in the early 1870s in Philadelphia. In 1880 they first offered to the medical profession the preparation of an Extract of Cod Liver, but as the idea of the presence of active alkaloids or leucomaine (an alkaloid found in living animal tissue) in cod livers was apparently new in medical literature. The preparation was met with considerable skepticism until the leading chemical houses of the world were finally able to isolate and offer for sale these active principles. The business was extended into Canada in 1905. A large and well-equipped laboratory was built at Perth, Ontario. 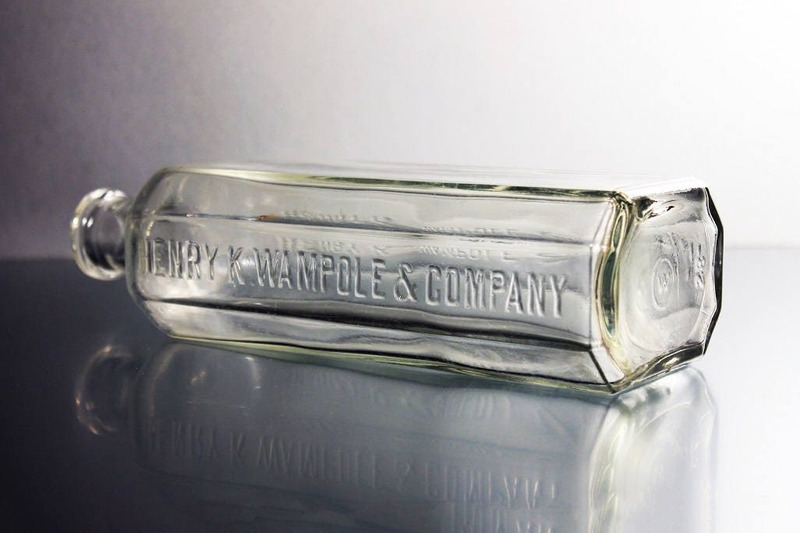 Albert Koch and Samuel Ross Campbell joined Wampole in the business in early 1878. "The body of H. K. Wampole, head of the firm of Henry K. Wampole & Co., of Philadelphia, was found floating in the North River off Weehawken on Friday, September 14. On the previous Saturday, two physicians started with Mr. Wampole for a sanitarium in the Adirondacks of New York State. He had been suffering from a physical breakdown, and it was feared that if he did not get a complete rest his mind would give way. While they were at a Courtlandt street hotel in New York City, Mr. Wampole eluded them and was not seen again until his body was found nearly a week later. His son said that for the past five years it had been evident that his father had been failing mentally. It was thought it was merely a case of overwork, but a long rest seemed to do him no good so that finally it was deemed best to send him to a sanitarium. 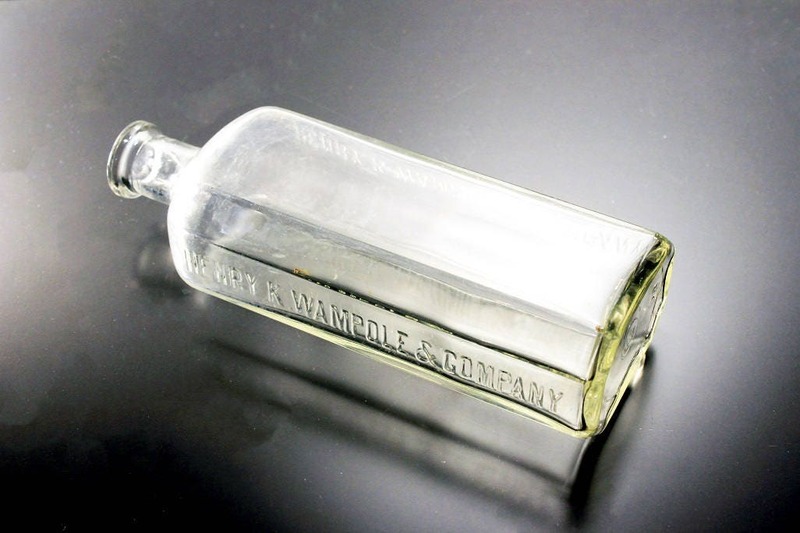 This bottle is in excellent condition. There are no chips or cracks. 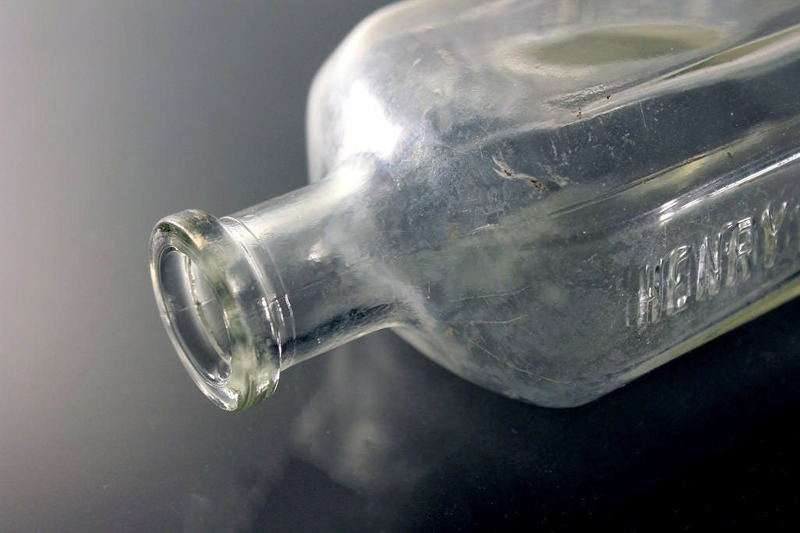 The bottle has some fogging on the inside from being buried.